Many of us have hoarding tendencies that can range from buying too much ‘stuff’, having trouble getting rid of items and misplacing valuables due to cluttered spaces. However, help is at hand! There are professionals out there who can offer assistance, plus there are some easy strategies you can undertake yourself that can kick-start the decluttering process. Here are five effective ways to stop hoarding today. Overcoming the tendency to hoard requires a continued commitment, so before you formulate a plan and start clearing out spaces it helps to set some motivation strategies, and make a list of the reasons you want to stop hoarding. These could be as simple as “I want to be able to easily find things” or “I want to be able to entertain guests in my home”. If you review this list regularly, it can also help you resist the urge to second-guess your reason to change. Large, sporadic bursts of motivation won’t lead to lasting change and can be daunting, so the trick is to set small, specific goals and take ‘baby steps’ towards realising those goals. Instead of setting an expansive goal like “clean the whole house”, set small, clear goals like “I will spend one day this weekend clearing out three boxes”. Because it’s a realistic, time-based goal it will be also easier to accomplish and you’ll know when you’ve actually achieved it. Exposing your fears when it comes to avoiding hoarding is the only way to overcome them, however it can be overwhelming dealing with your biggest fears first. Instead, address your easiest fears first and then slowly make your way up to the more difficult ones. To assist this process, make a list of everything you need to get rid of, rank them on a scale of one to ten (one being easiest), and then get rid of the number ones first. It also helps to develop a clear system of organising items. Decide on how you’ll categorise the different items in your home (typically by its desired location), then in each space you clear decide on the outcome piles which include which items you’ll Keep, Trash, Relocate or Store. Work on one area at a time until it’s clear and avoid moving items from one area to another. Curb the tendency to put something aside ‘for now’, handle items only once, and allow yourself only ten or so seconds to decide how to categorise it. The longer you examine it, the greater your attachment to it will be and the harder it will be to control clutter. As you slowly start to declutter your home keep track of the progress you’ve made and give yourself a pat on the back now and then. This will build your confidence to keep going. Before and after photos are also a great motivator, and don’t be too hard on yourself if you have a setback or two – you’re doing well! Your ‘Keep’ items should go back into their designated area/s after you’ve decluttered a room or space, and ideally you’ll store them neatly in a container or drawer. ‘Store’ items should be stored in appropriate containers and kept out of sight in the garage or in a spare room. ‘Relocate’ items can be sold online (you can make some cash at the same time! ), or you could consider holding a weekend garage sale. Donating your items to charities is also a great ‘feel good’ opportunity and sometimes it’s easier to get rid of things when you know they’re going to a good home. One of the hardest parts of being a hoarder is deciding what you’ll throw away. If it doesn’t work and you can’t fix it, get rid of it. If you haven’t used the item in six months or more or you don’t use it 80% of the time, it’s probably worth relocating or throwing it away. And if you’ve thought long and hard about and still can’t bear the thought of losing it, put it in a box, wait 6 months and if you haven’t opened the box before then you can let it go of it with no regret. If you’ve finally decided on your ‘Trash’ items, recycling bins and depots are a great way of doing your part for the environment, and if there is simply too much to deal with, consider hiring a mini-skip. You simply fill it up after it’s dropped off and then have it picked it up when you’re done. Tip #4 – Fine-tune Your Skills, Seek Encouragement From Loved Ones and Be Proud of How Far You’ve Come! You’ve come this far, now it’s time to maintain those finely tuned decluttering skills and continually boost your confidence so that the good work you’ve achieved can be continued. Instead of waiting for clutter to get out of control again, practice your new skills regularly and apply them to your everyday life. For example, every time you buy a new item, make a rule that you’ll relocate or throw out something you no longer need. And instead of letting daily mail pile up, sort it immediately, discard any junk mail and keep a file of any important bills or correspondence that needs to be attended to. Family and friends are a great source of encouragement and can help you avoid clutter. Let them know about your hoarding strategies, ask them for assistance when you need it, and get them to regularly remind you why decluttering your life is a good thing! It’s also important to recognise how far you’ve come in the decluttering process. One of the most effective ways you can continue to stop hoarding is by opening your home up to guests. Whether it’s scheduling a regular Friday night pizza catch up with your best friend, or a roast lunch extravaganza on a Sunday, being proud of your surroundings and gaining positive feedback from loved ones will go along way to boosting your confidence. Changing hoarding habits can be a long-term process, and sometimes it can be tough. But there are many community organisations and specialists out there who can help. 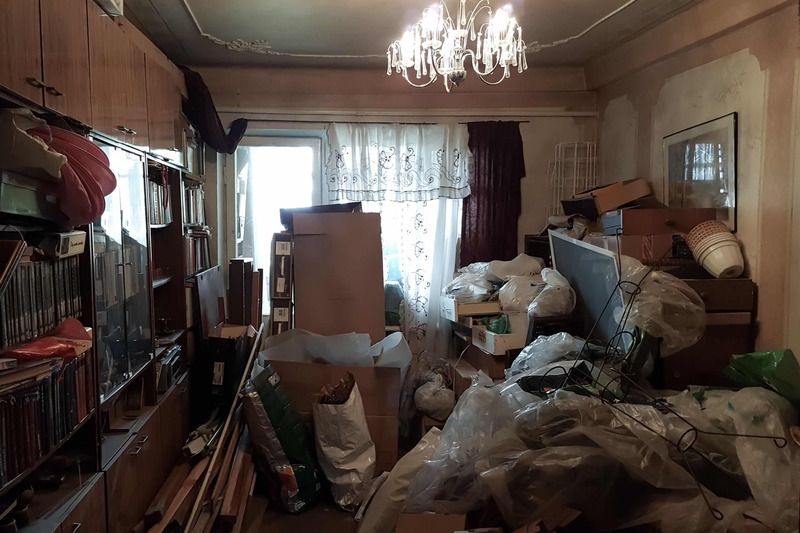 Property clearance professionals can help you fine-tune your decluttering plans, assist with removing unwanted items, and because they realise that the process can be difficult at an emotional level, can customise their approach to suit your own personal circumstances. Time for fresh start! Do you need help in organising the clutter in your home? Contact the experts at Property Clearance today on 1300 200 292.